3. Easy to use: Insert the GM MDI gds2 software HDD to your computer, software can use directly with GM MDI scanner device, no need activation. * Please make sure your computer support win7 64 bits system. * If computer failed to boot up , please enter BOIS system, change the SATA driver to AHCI. The Tech 2 remains an essential tool through at least the 2010 model year. The for GM MDI will not support past models when its diagnostic capabilities are introduced. And, the Tech2 will continue to be needed to diagnose all vehicles fromprevious model years. Remote programming with the Tech 2 will continue to be supported for use on all 2007 and previous vehicles.Additional information will be supplied in future. It can not use in D630 and X200 laptop. 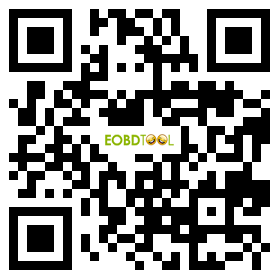 It is suitable for laptop built after 2008, such as E6420, T420, EVG7 ect. Regulations require programming procedures to be compliant with SAE Recommended Practice J2534. The for GM SPS is compliant with SAE Recommended Practice J2534, and the for GM MDI is compliant with the portions of SAE J2534 that are applicable for GM vehicles. Q: Does the GM MDI Tool support update? Q: What software includes in the package? Q: Do you provide WiFi Card for GM MDI?